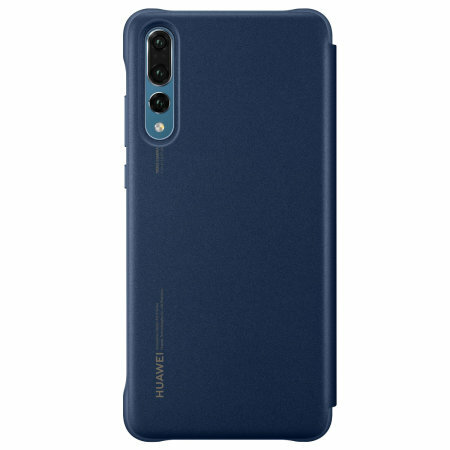 Protect your Huawei P20 Pro's screen and keep up to date with the time, weather, call notifications and more thanks to the intuitively designed smart view window on the blue Huawei flip case. Crafted from the finest materials. Just what I needed as prone to dropping my phone. 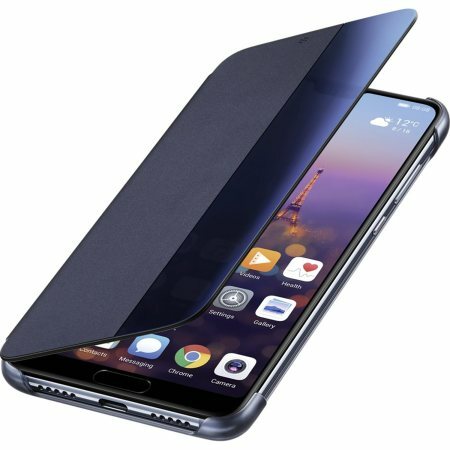 And it's slick, light, protective and a great price. Easy process from ordering to receipt of item. 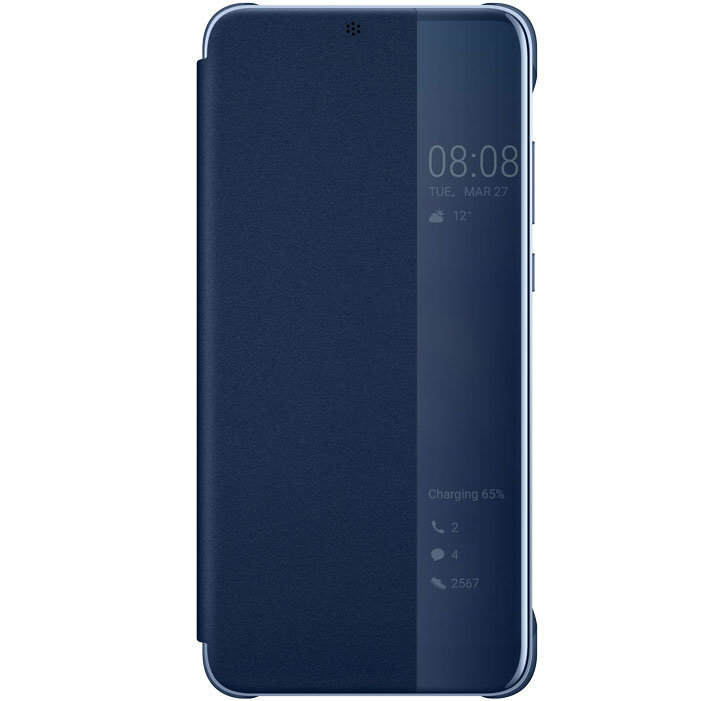 The Official Huawei Flip case features an intuitively designed Smart View window in the front cover, allowing you to quickly and easily view the time, date, weather and alarm / call notifications without the need to open the front cover. 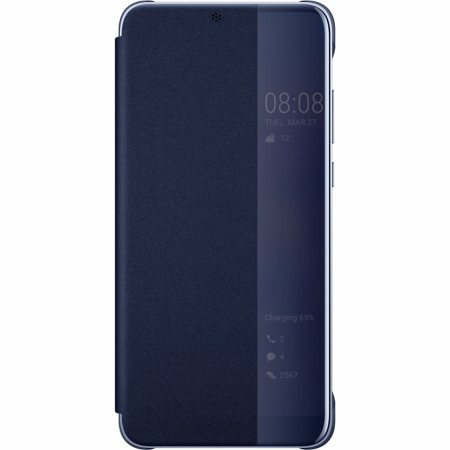 This is an official Huawei product, so it's made to the highest standards with the best quality materials. 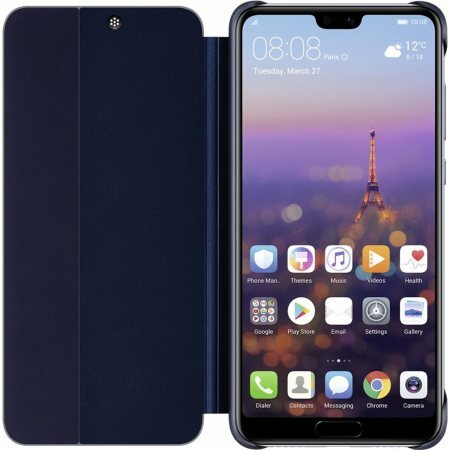 It is designed specifically for use with the Huawei P20 Pro, so offers a perfect fit and does not impede the use of any of the functions including the power and volume buttons, headphone and charging ports or front and rear cameras. 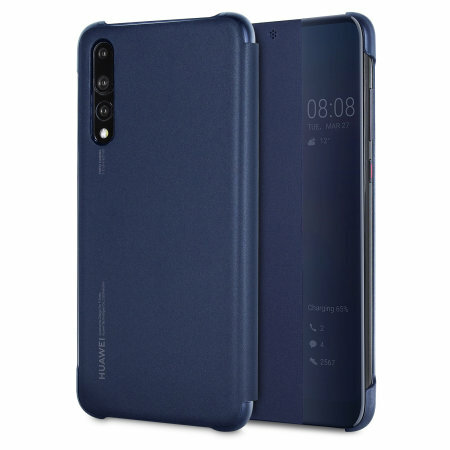 Protect the front of your P20 Pro from scratches, scrapes and front-on impacts with the official flip cover. The most important part of the phone, the screen, is also protected from harm. 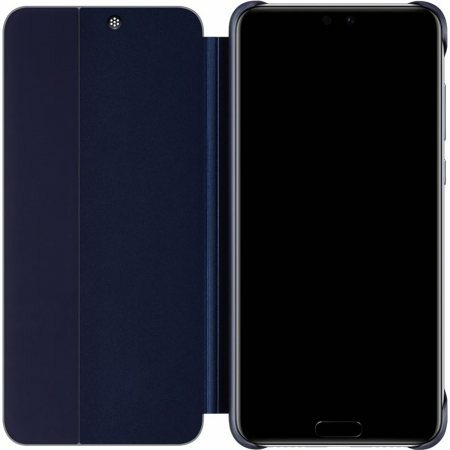 Made from high quality synthetic leather materials, this flip cover will keep your P20 Pro's screen looking good as new.